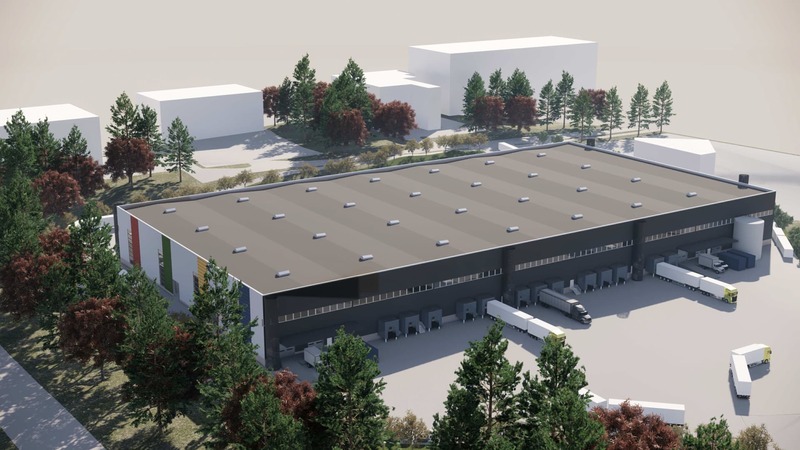 We will build 20,000 m2 of warehouse, logistics and office premises in a central location at Vantaan Hakkila near the Helsinki–Lahti motorway. Vantaan Hakkila is the logistics pivot of the Helsinki Metropolitan Area. Fast connections to Vuosaari Harbour; distance - 14 kilometres, a short distance to Helsinki Airport: 13 kilometres, the entire Helsinki Metropolitan Area within easy reach, the main road network offers connections to everywhere in Finland. The premises at VT4 Logistics will be designed flexibly according to the your needs. They can be leased as one whole or as smaller entities. The project comprises of two buildings with a functional joint yard between them. We will build 20,000 m2 of warehouse, logistics and office premises in a central location at Vantaan Hakkila near the Helsinki–Lahti motorway. The area is logistically in the best location of the entire country. The central location, labour availability and the significant customer flows of the Helsinki Metropolitan Area provide the companies at Vantaan Hakkila with excellent conditions for success. Hakkilan Kolmio has a good, 4.4-hectare plot with two entrance driveways, one from the south and one from the north. They enable the efficient and versatile use of the yard areas. Parking places for private cars are safely located as separate from truck traffic.